← Street Elite employability programme. 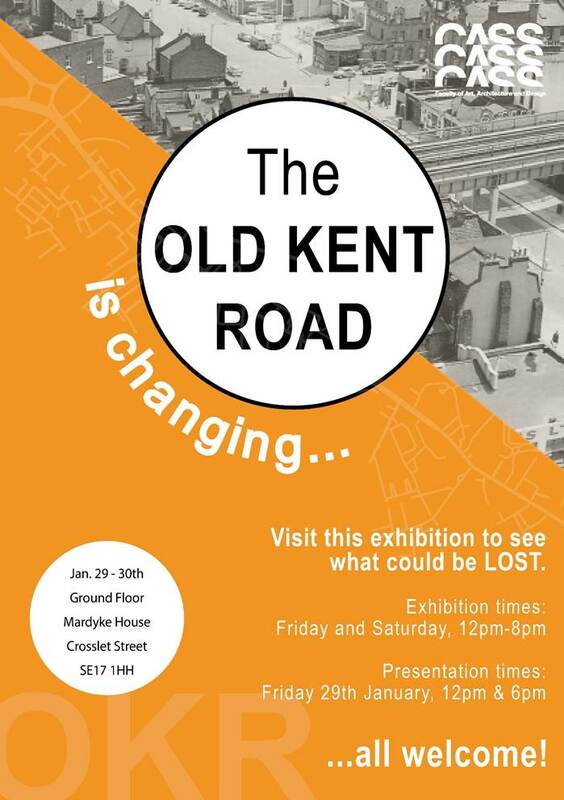 Come along and see this exhibition of research CASS students have completed on the elements of the community that is encompassed in the new Opportunity Area around the Old Kent Road. Discuss with the students, hear their views on how the area might change and identify those things you want to keep as part of conserving the existing community. This is an interesting piece of work that will get you thinking and help you understand the business, retail, restaurants, green spaces and varied housing that makes up this vibrant part of London. The exhibition will be inspiration in thinking about ways forward on how to engage with the Council and developers, as well as provide invaluable data for funding applications.